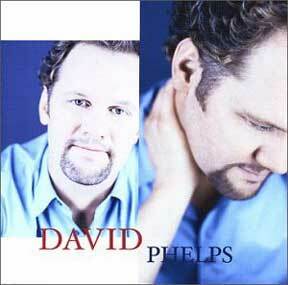 Pop vocalist and songwriter David Phelps has been given such a talent. Credited by many as having one of today's most spectacular voices, David has seen countless thousands rise to their feet for his inspiring, powerhouse performances. Raised in a Christian home, David grew up in Tomball, Texas singing in church with his family. Through the years, he cultivated his love for music by performing as a solo artist at churches and conventions. 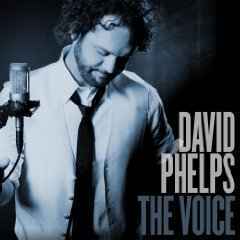 The music of David Phelps is honest and uplifting. His gifts of singing and songwriting combine to tell of the grace that provides, encourages, comforts, and saves. Through this music, David leads people in worship and inspires them to seek Christ. His powerful songs and humble spirit have been well received across the country. His audiences have included George W. Bush, massive crowds at Billy Graham Crusades, and millions of "ABC News" viewers, and his voice has brought him multiple Grammy and Dove awards. 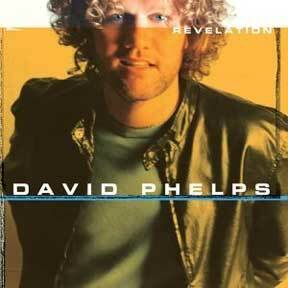 And with the release of his new solo debut for Word Records, Revelation, Phelps is poised to reach an even greater audience of fans around the globe. From there, as a teenager, David Phelps went on to become the winner of the 1988 Seminar In the Rockies held in Estes Park, Colorado, the youngest winner of the contest at that time. "It is my prayer that as people attend my concerts, they are filled with the courage and hope to claim the grace that Jesus freely gives us. My goal is not only to entertain, but to encourage and challenge my listeners to live joyfully and abundantly in the solace of the grace of Jesus Christ." Without Grace, this life is the end, our daily struggles have no eternal value, and eternal death is our destination. With Grace, this life is the beginning, our struggles become an incentive to know God, and eternal life is our destination. His career after graduation with a stint as Artist In Residence for First Baptist Church in Hurst, Texas. Though for a time it appeared that family commitments might prevent David from realizing his dream, he and Lori packed their bags for Nashville, Tennessee, in 1996 with the hope of landing a record deal for David. Once again, however, Phelps faced a challenge. After six heartbreaking months, David had not found an opportunity, and since he had given up his job back in Texas, the young couple was running out of funds. While visiting his family one weekend back in Texas, David told them, "We really feel like God was calling us to Nashville, but it's just not happening." Instantly, his family gathered around David and Lori and began to pray for a miracle. A miracle is what God had in mind. The very next day, back in Nashville, David met with executives from Word Records and found out about an opportunity with best-selling vocal foursome Gaither Vocal Band. 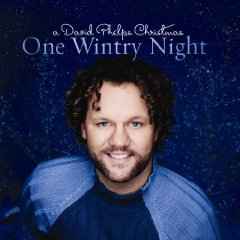 Two weeks later, he officially joined the group that has brought David Phelps four Dove Awards, two Grammy Awards, and over 13 gold and 15 platinum-selling projects. Although David is still an active member of the Gaither Vocal Band, Revelation is not of Southern Gospel roots. It is a welcomed change for David and his music; a high-energy pop album with David's compelling vocals and uplifting lyrics. Outstanding talent always speaks for itself. It stands out from crowds of gimmicks, flashy clothes and pretty faces, and rises above odds, obstacles, and any lesser contenders. Great talent cannot be learned or created - it is simply given to a special few. And when that talent is dedicated to a higher purpose, there's no telling where it may take the one who possesses it. 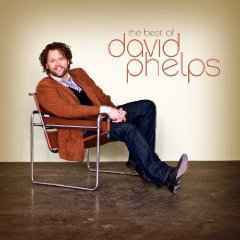 Lori, his wife of eleven years, helps David Phelps balance his dual roles as acclaimed vocalist and down-to-earth husband and father of four. "Most of us don't get the chance to have even one standing ovation or round of applause in our lives, so working on a stage of any kind can give you a really unrealistic view of life if you're not careful," David reveals. "In her own loving way, Lori won't let me live in that place of applause, and I'm very thankful for that." Though not a musician herself, Lori has walked with David all along the long, challenging road as he has pursued his calling to music. Hailing originally from the Houston area, the couple met at Texas' Baylor University over a decade ago, where Phelps earned a degree in line with his passion - music. Featuring songs primarily written or co-written by Phelps, Revelation is a showcase for the impressive vocal and musical training that have shaped Phelps as a performer, swirled into a beautiful sonic blend that reflects the best of 21st century pop. From dramatic ballads to R&B-influenced groove and rock-tinged, energetic pop, Revelation reveals the musical passion and substantive message behind this exceptional singer/songwriter. "The foundation of this album lies in knowing who Christ really is," explains David. "There's a line at the beginning of the song 'Break Free' that sums it up well - 'Forget what you've heard about Jesus, if it doesn't begin and end with love.' "
Every song on Revelation reveals God's mercy and compassion for His people. "Just As I Am," penned by David and award-winning songwriter Cindy Morgan, expresses Christ's loving acceptance of the broken, while "Arms Open Wide," a cut written by Rita Baloche [wife of Paul Baloche ("Above All," "Open the Eyes of My Heart")], praises the Savior for coming to redeem us. From the story of God's loving care as He shapes our lives and the universe in "Virtuoso" to the promise that "God Will Take Care Of You" and the tender ballad "Love Goes On"
Revelation paints a portrait of who God really is, all superbly communicated through the expressive artistry of one of Christian music's finest vocalists. Producers Regie Hamm (Bob Carlisle, Jaci Velasquez, Clay Crosse) and Chris Harris (Avalon, Anointed, Allen Asbury) had the task of guiding David's musical vision and wide tastes into the cohesive and compelling Revelation. The album's title cut is a dramatic, rock opera-styled song that provides a centerpiece, both musically and vocally, for David's talent. "I'm thrilled about this song, because it's a piece that I've spent a lot of time and effort to write," David says of "Revelation." "It represents so much of what I love about music." The song, which tells the story of a man much like David on the morning of Christ's return, reveals David's imaginative story-telling ability, and combines a myriad of his favorite influences, from rock to classical to Bohemian Rhapsody. David is making sure that his kids have the same musical opportunities he had by taking them on the road with him and Lori to his concerts. Lori homeschools their two daughters - eight-year-old Callie and six-year-old Maggie Beth - both at home and on tour in order to let them and three-year-old Grant spend more time with Dad. The couple are preparing for the arrival of a fourth little one, due to arrive just in time for the release of Revelation. And though one of the things his kids often see are the thousands of people who flock to hear him sing, David Phelps is careful to remind them that the walk of Christian faith, even when it's lived out before a national audience, is one of humble obedience. In the regal ballad "Live Like a King," written by Bob Halligan, Jr. (Kathy Mattea, Michael Bolton, Rebecca St. James), David beautifully conveys the paradox that marked Christ's reign here on earth, and that he hopes will always prove to be the example for his own life. The words also reveal the purpose behind the tremendous talent God has placed in David's own life. 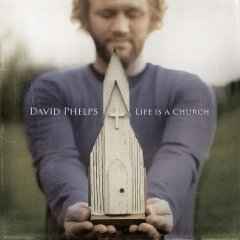 Despite being given such great ability and opportunity, David Phelps is a man who will forever invest that gift in honor of its Giver. David's concert and songwriting ministries have been expanding to reach more and more people. 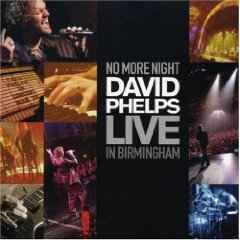 Phelps' has thrilled audiences at conventions, conferences, countless churches, and arenas across the United States both as a solo artist and with the Vocal Band.